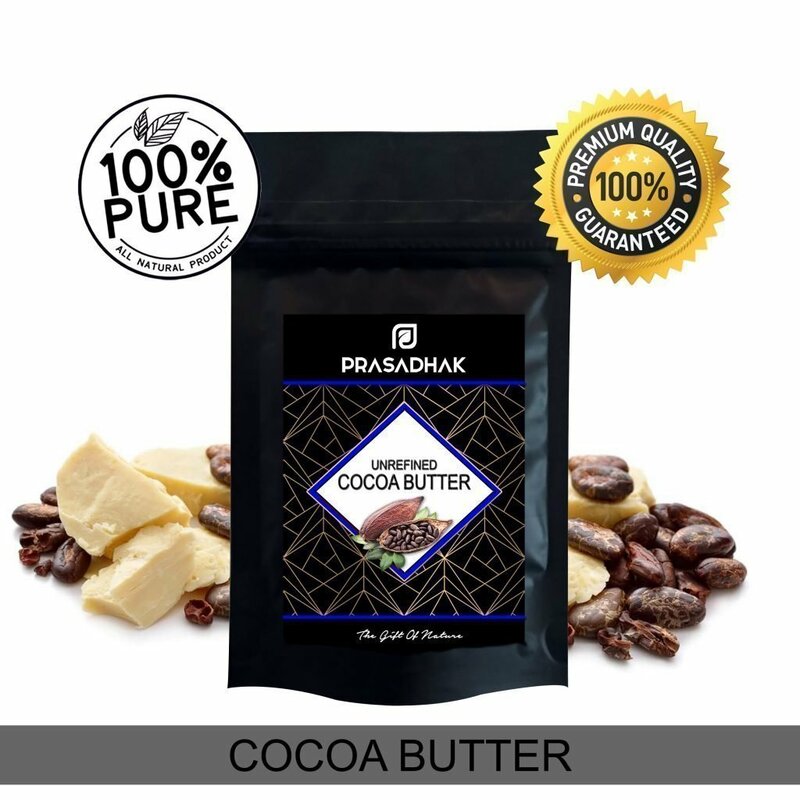 Natural Cocoa Butter is obtained by hydraulically pressing of Cocoa beans found in Africa. 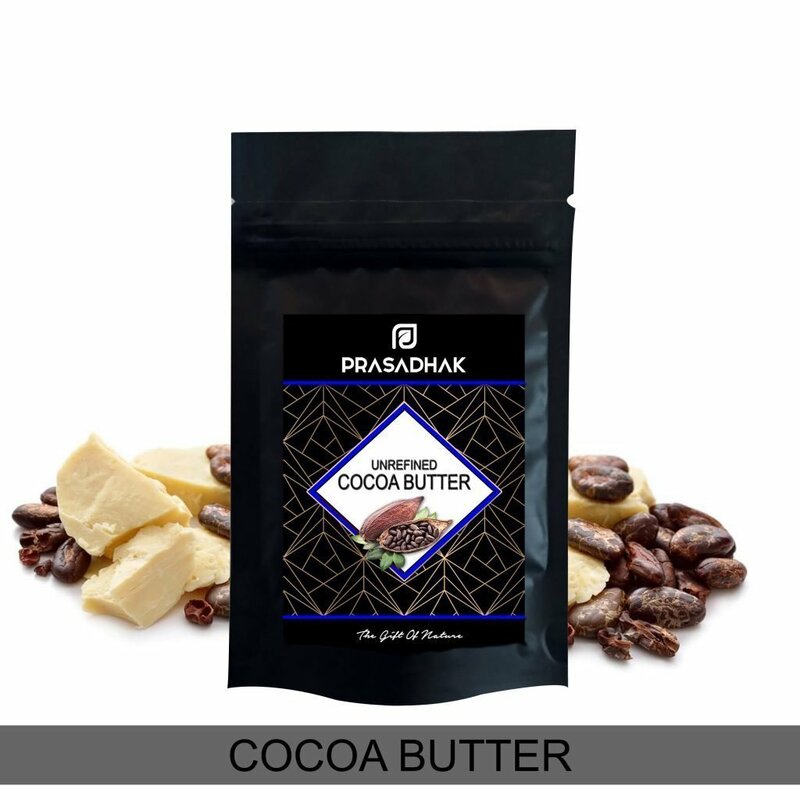 #DidYouKnow Cocoa Butter is solid at room temperature but melts when it touches the skin. Mother Nature is full of magic, indeed. 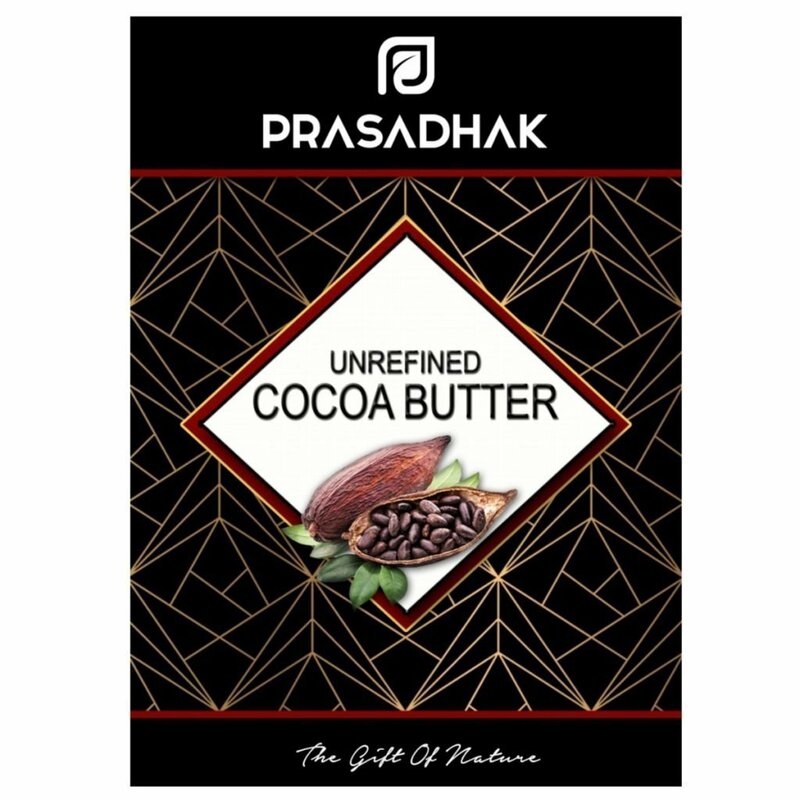 Prasadhak Products ALWAYS have more than one use! 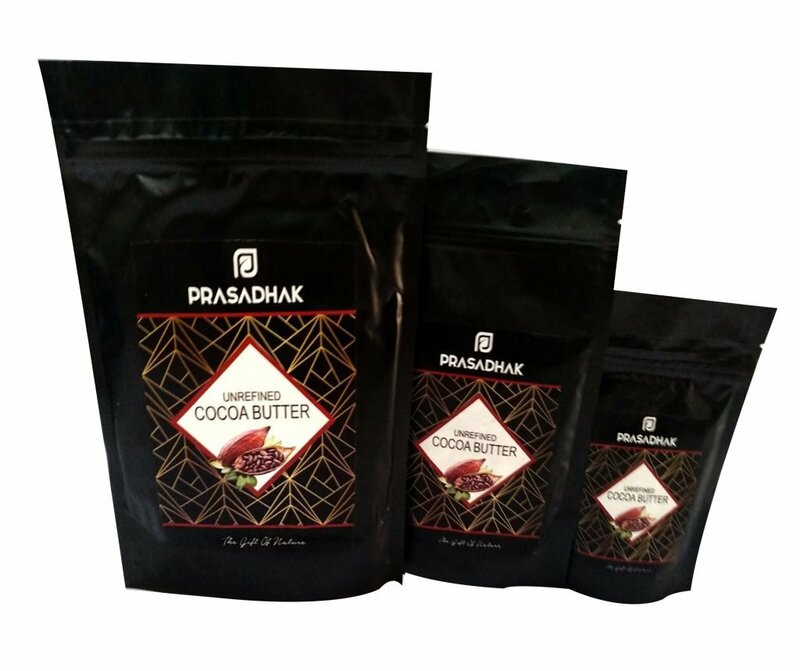 Our food grade Cocoa Butter has come from the African Cocoa beans and is 100% natural and raw. 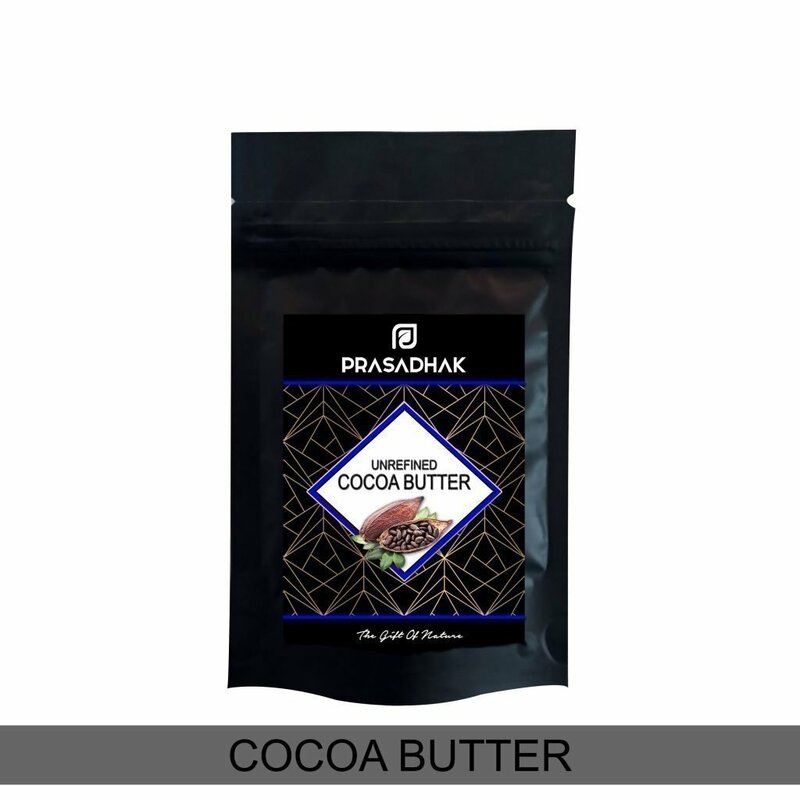 As it is really thick butter, a double boiler method is used to melt it. Add some oil (check out our cold-pressed 100% natural oils) and whip it into a smoother texture. 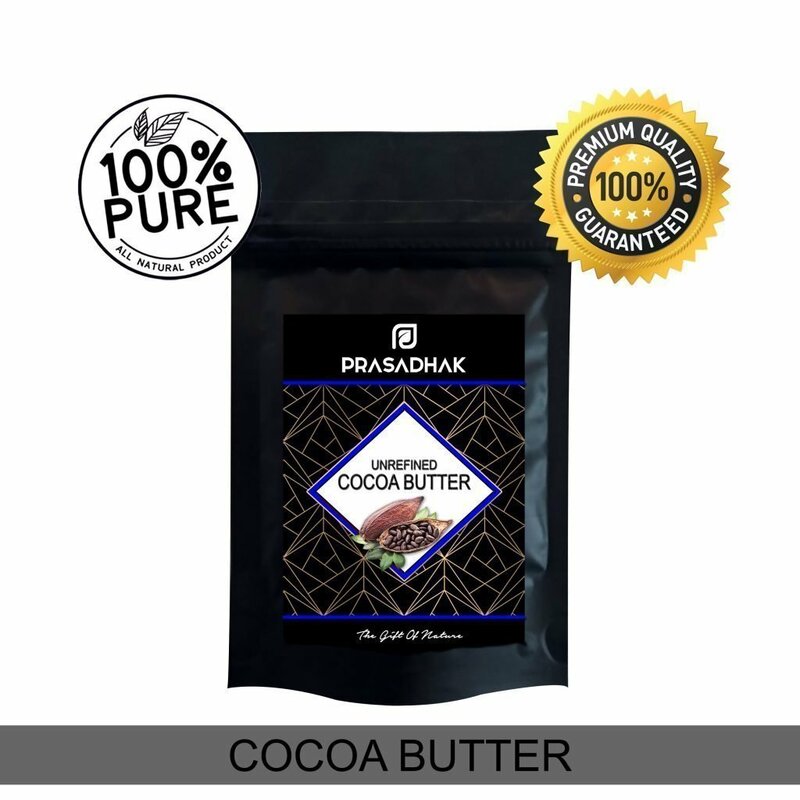 I use natural products and was looking for a cocoa body butter which is rich and beneficial for the skin. 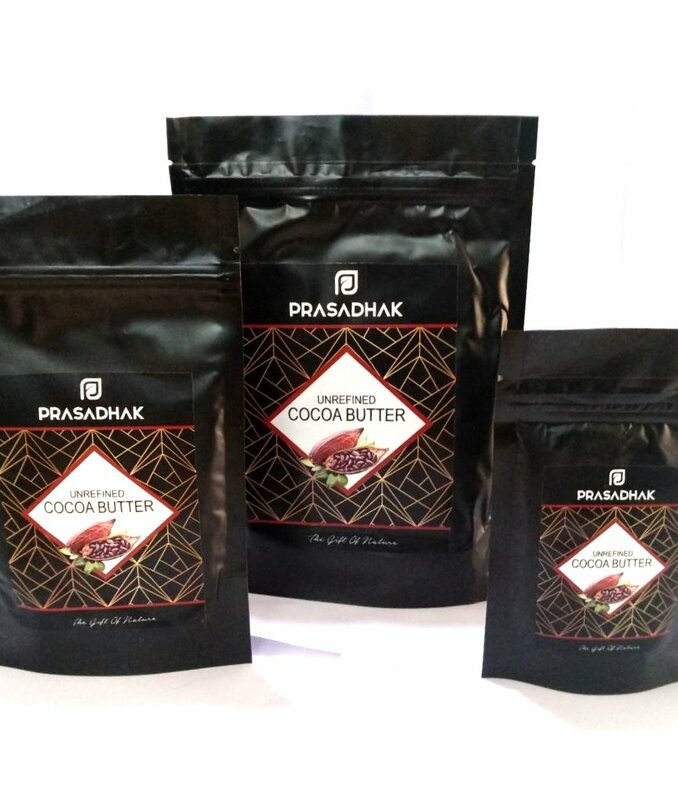 I got the recommendations for prasadhak and now I am pretty happy with the product. This is my repeat order…so obviously the product is good. 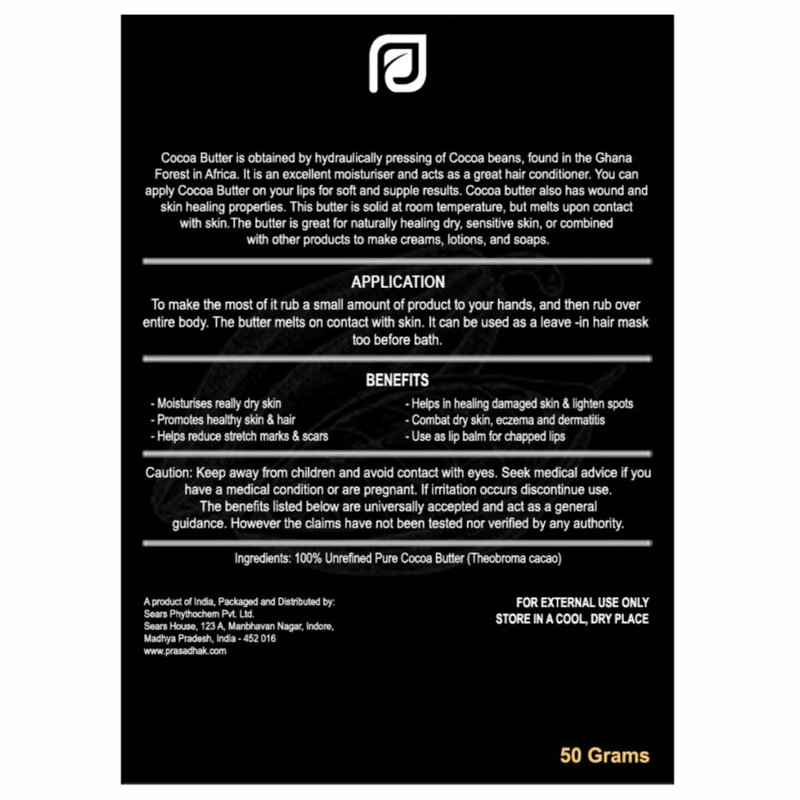 Cocoa butter is One of the best body lotions in the market. Most Recommended!